high F/B. The bent DE (K6STI style) transforms from approx. 17 ohms to 50 ohms at feed point. 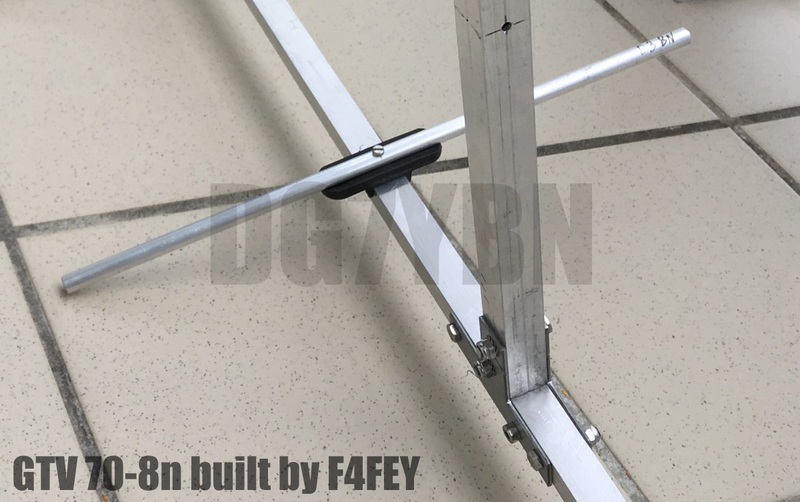 This yagi is built on a 5-8 inch boom with 4 mm elements using 7arrays through boom insulators. 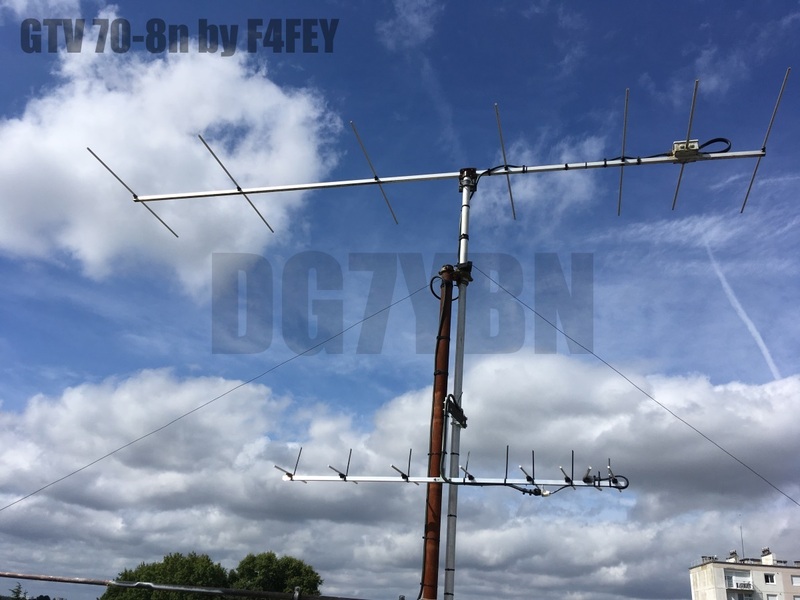 NC1I (which is based stateside guys) received B-14 dB by MX0CNS (thats now in Europe guys). 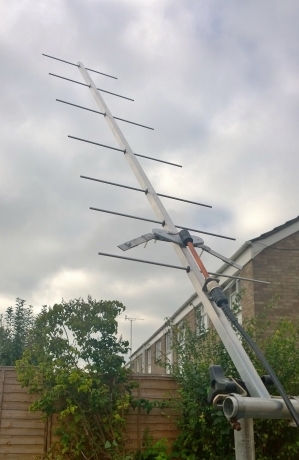 signal reception with a single small Yagi in daytime, with an ordinary preamp only. -3 dB E-plane         38.8 deg. -3 dB H-plane         44.0 deg. How many OMs have been looking up this design? Note: with through Boom BC it is important to stick to the boom end offsets given below! 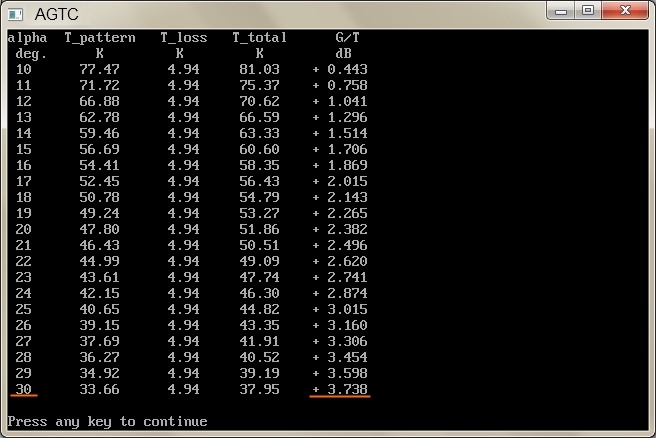 for compensation of the insulators (7arrays.com ) as shown above in combination with SM5BSZ'S BC.exe values. Read abt. the SBC here . with you can use for own adaptions to variations of boom dimensions etc. 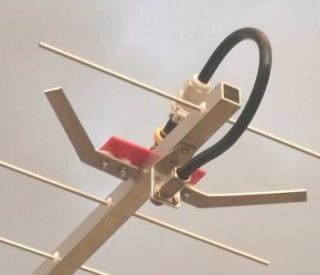 EZNEC file of this Yagi with Ø 4 mm ele. 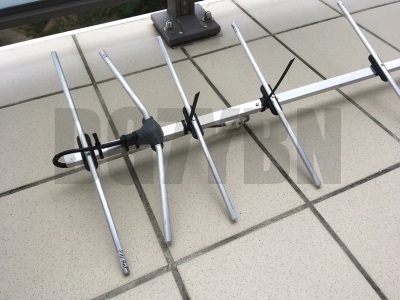 EZNEC file of a 4 Yagi Bay with Ø 4 mm ele. 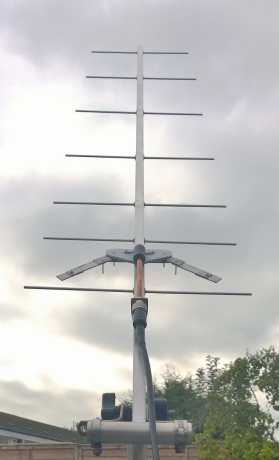 EZNEC file of this Yagi with Ø 8 mm ele. 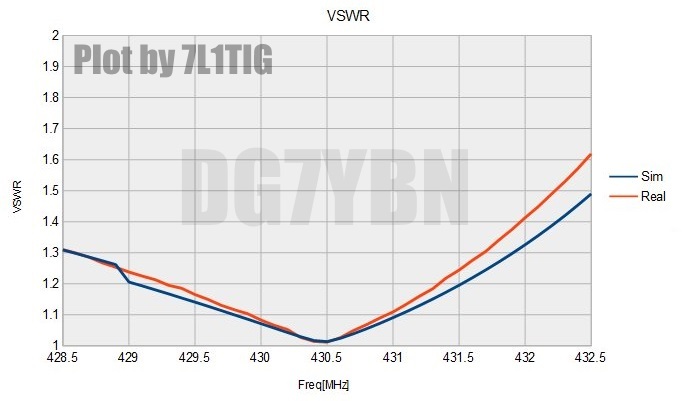 the level of local QRM it might be worthwhile to try a decreased distance, especially in the H-plane. 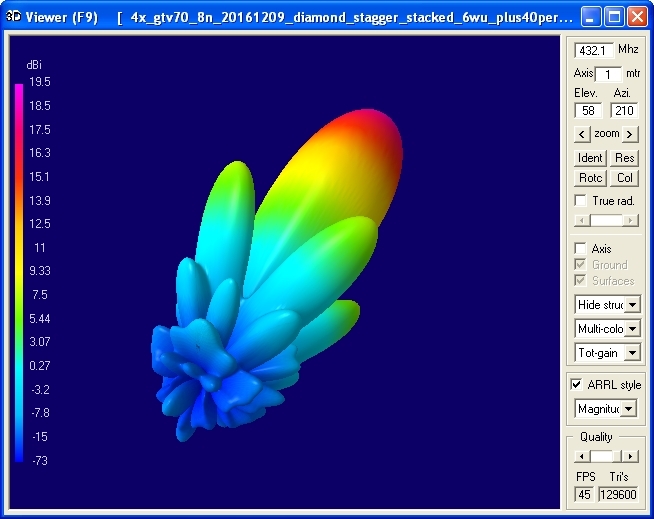 -3 dB H-plane, appr. 17.4 deg. 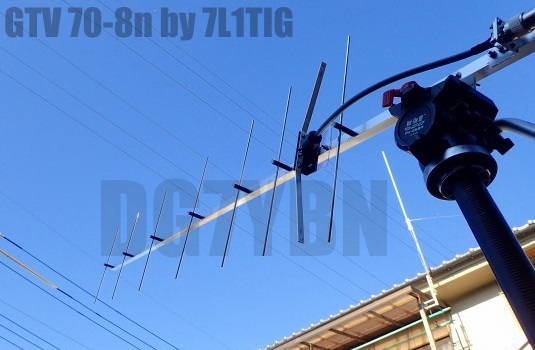 -3 dB E-plane, appr. 19.8 deg. for both E and H plane. 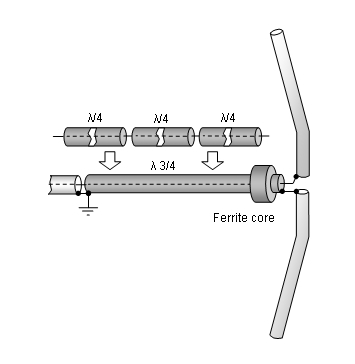 feedlines that are 0.25 wave length longer than the ones for the upper and lower Yagi. 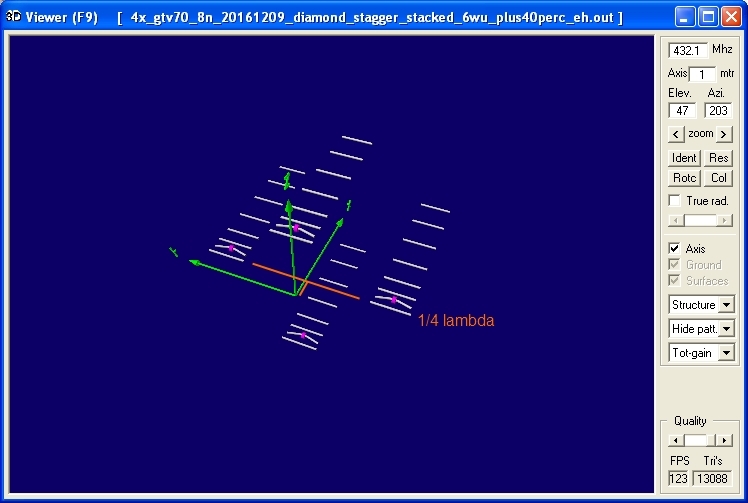 Find a link to more information about Stagger Stacking down the page. Attenzione! Viewing and judging Patterns of Diamond Stacks by Azimuth and Elevation Plots leads to wrong conclusions according their amount of front-, side- and rear lobes suppression. 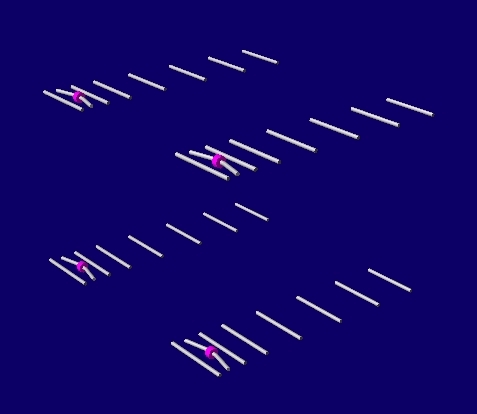 As the Diamond Stackings wave interference pattern runs the most characteristic lobes by a 45 degree shift to the ordinary stacking scheme. So they do not show in the ordinary Azimuth and Elevation plots. Which is the reason why many rumors about the marvels of Diamond Stacking are to be heared. 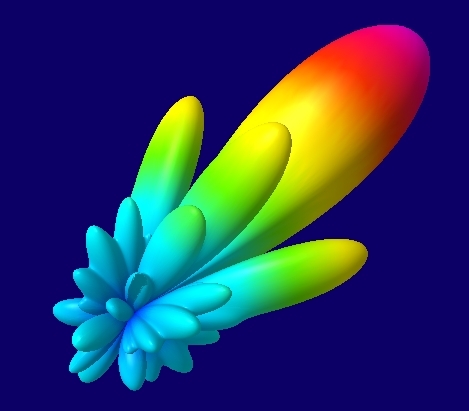 Hence I show a 3D plot here. decreases rear lobes by a signifcant amount. And so it does in practise here. to form a gentle bow below the boom or until behind the Reflector. 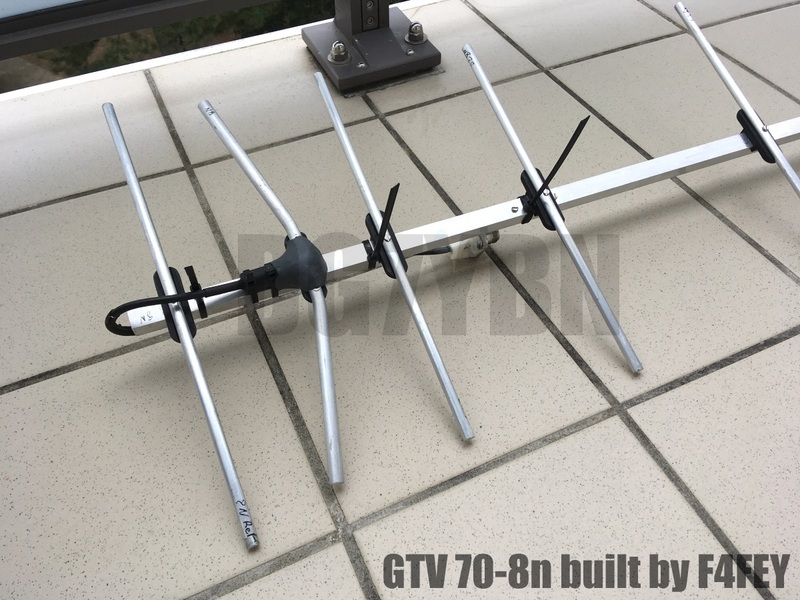 Follow practical construction hints on "Building a Yagi" page. Attenzione! 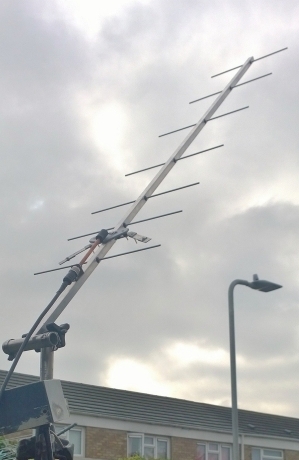 Take care when lengthening the coax, measure the actual electrical length instead of considering v-factors specified in a catalogue only.